EUR is under pressure due to Weak PMIs in the Eurozone. 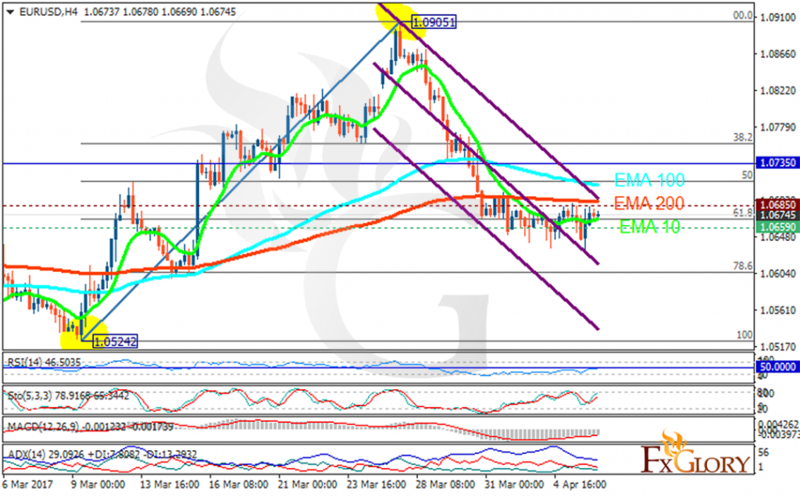 The support rests at 1.06590 with resistance at 1.06850 which both lines are below the weekly pivot point at 1.07350. The EMA of 10 is moving horizontally below the EMA of 100 and the EMA of 200. The RSI is falling towards the oversold area, the Stochastic is showing upward momentum and the MACD indicator is in negative territory. The ADX is showing a weak sell signal. EURUSD has not been volatile since yesterday and it has been fluctuating within support and resistance area. In case of the price growth, buyers can target 1.0750.